It's a glimpse at a life beyond consoles. 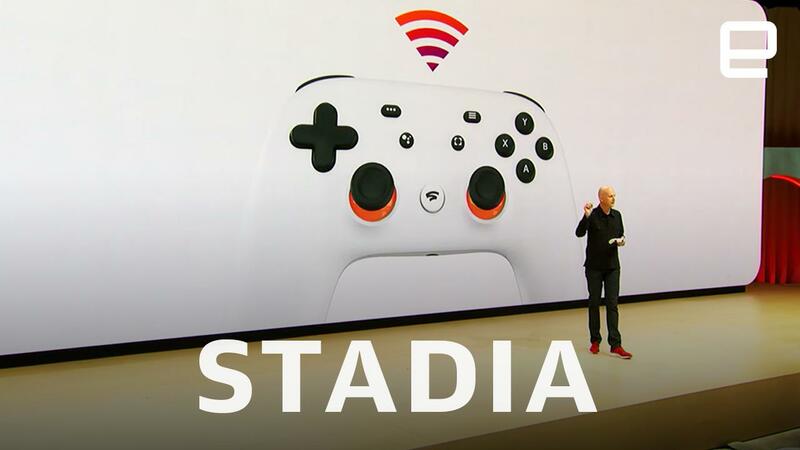 There's a good chance we'll remember Google's Stadia announcement as a landmark moment in gaming. In one fell swoop, Google laid out its plans for an ambitious game-streaming service that goes far beyond anything we've ever seen before. Stadia promises unparalleled graphical power, near-instant access and the ability to play the latest titles on almost any screen. As Google's announcement went on, the future came into focus -- a world where the frustration of modern consoles didn't exist and games flowed as freely as water. Obviously, plenty of questions still remain. We don't know what Stadia will cost or how well it'll perform with millions of players slamming Google's servers (the Project Stream beta was solid, at least). But after plenty of false starts in game streaming, Stadia feels like the bold swing that could make it truly take off. That might seem surprising, coming from a company that hasn't had much experience with games. But historically many of the biggest shifts in the industry came from newcomers: Sony proved CDs were a viable upgrade to cartridges with the PlayStation, and Microsoft showed the importance of a robust online service with Xbox Live. Each of those companies tapped into their expertise to shift the gaming landscape, so it makes sense that Google would be the one to nail streaming. It requires a deep understanding of the internet and experience in delivering complex services to a wide variety of devices. For years, streaming games over the internet has seemed like a pipe dream. OnLive made a huge splash a decade ago only to burn out a few years later (Sony picked up its patent scraps). Gaikai was a direct competitor, which Sony snapped up and used its technology to build PlayStation Now and Remote Play. More recently, we've seen the likes of NVIDIA take a stab with GeForce Now -- a solid service but one that's perpetually been in beta. There are also smaller companies like Blade and Parsec that are trying to make their mark. Microsoft, meanwhile, says it's working on its own game-streaming solution, Project xCloud, which we're expecting more details about at E3. While all of these services basically do the same thing (let you play titles running on remote servers over the internet), Stadia's scope is on an entirely different level. Google says it'll be powered by servers running custom CPUs and AMD GPUs capable of 10.7 teraflops, on par with NVIDIA's GTX 1080 Ti. In comparison, the Xbox One X, the most powerful console today, has six teraflops. The company claims Stadia will support up to 4K HDR at 60 frames per second, something that only gaming PCs can achieve today. It's also eyeing 8K 120+ FPS down the line, specs that no game supports today. To deal with more-demanding games, Stadia will be able to use multiple servers and GPUs seamlessly. And it will also rely on server-class SSDs, which means your games and levels will load faster than any console. Basically, you won't have to worry about specs anymore. Of course, raw power doesn't mean much if your gameplay is laggy because the servers are far away, but Google says it'll have 7,500 server locations around the world. We haven't seen server stats from earlier streaming services, but even OnLive at the height of its popularity couldn't deploy data centers as easily as Google. That's also a sign that smaller companies like Blade and Parsec will have a hard time competing. Google is also making its service a much more web-connected experience than consoles. Press a button on the new Stadia controller and you'll quickly start streaming your experience on YouTube gaming. Another button lets you access Google Assistant, which can automatically point you to YouTube videos to help you get through a tough level. Google says Stadia will also lead to lag-free multiplayer matches, since all the networking complexity happens on its cloud. And there's another surprising advantage: The service could also help us relive the days when we spent hours playing Goldeneye on crowded couches. Many modern titles are too demanding to support cooperative multiplayer on a single TV, but that's not a problem for Stadia's cloud processing. The Stadia controller is unique in another respect: It connects to the internet over WiFi, giving it direct communication with the server. That's a smart way to reduce input lag, a common problem with every game-streaming service so far. Previously, you'd press a button on a controller and it would go through a local device and make its way to a server; then you'd see the result when it appeared on your screen. Stadia appears to address most of the problems inherent with game streaming while also offering significant advantages over today's consoles. With its large server footprint and powerful hardware, Google says you'll be able to start a game in less than five seconds. You won't have to worry about downloading, installing and updating anything. (I can't count the number of times when I've had 30 minutes to play something only to be thwarted by a huge update.) Its expandable graphics mean it could scale to whatever quality you need. And of course, there's no giant box to deal with -- all you need is an internet connection and a device that runs Chrome. As Google demonstrated at GDC, you'll be able to easily continue a single play session across multiple devices. Perhaps most important, Google seems to be throwing everything it has behind Stadia, something we haven't seen with a game-streaming service since PlayOn. It's even hired industry veteran Jade Raymond to head up its first-party studio, Stadia Games and Entertainment. Hopefully, Stadia will encourage competitors like NVIDIA and Microsoft to step up with their own offerings. While there's still plenty left up in the air, Stadia is the boldest play we've seen yet for the next generation of gaming.